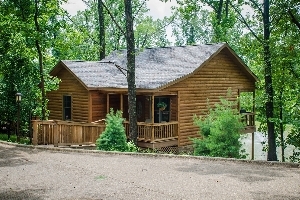 THE CABINS ON INDIAN CREEK are luxury log cabins, located in scenic southern Illinois. 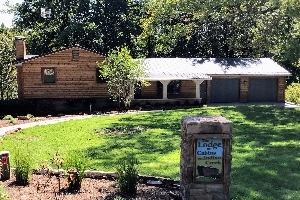 These luxury log cabins are conveniently located just miles from Southern Illinois University, Carbondale, Marion and at the edge of the beautiful Shawnee National Forest. Southern Illinois and the Shawnee National Forest are popular outdoor destinations – offering outdoor recreation in boating, hunting, hiking, fishing, biking and rock climbing. These gorgeous cabins were designed as warm and inviting vacation homes. 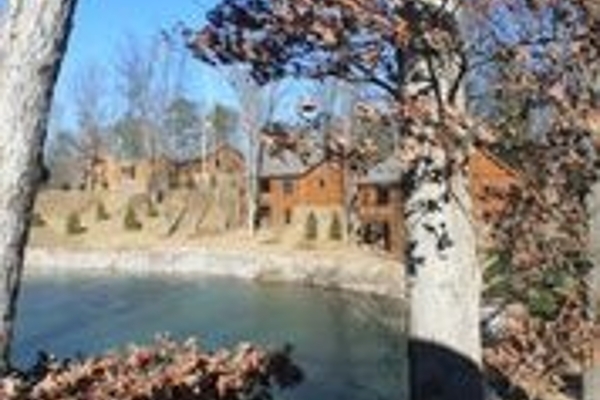 Upon arriving, warm details like custom log and stone exteriors welcome you, in rustic style. 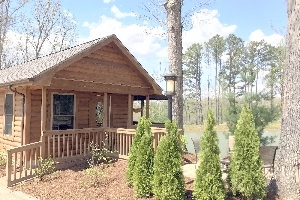 The covered porches invite you to relax outside with friends and family over a cup of coffee or perhaps even dinner. Inside, the kitchen offers a spacious area for cooking and dining. 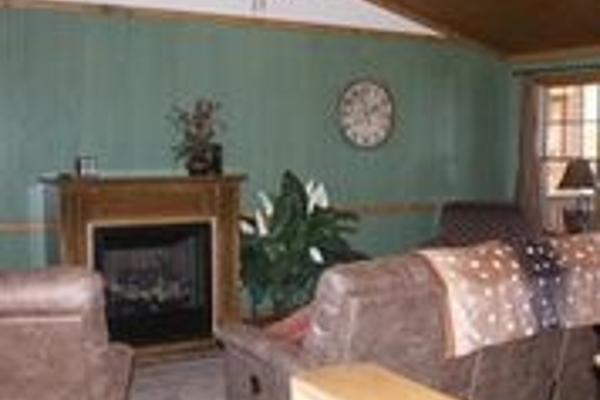 The fireplace adds cozy ambiance to the living room. 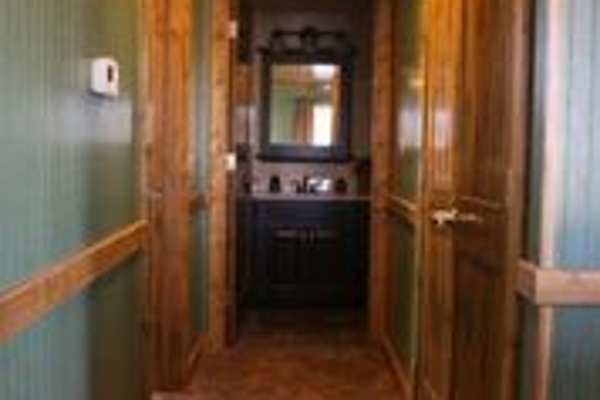 Each cabin offers a private master suite. 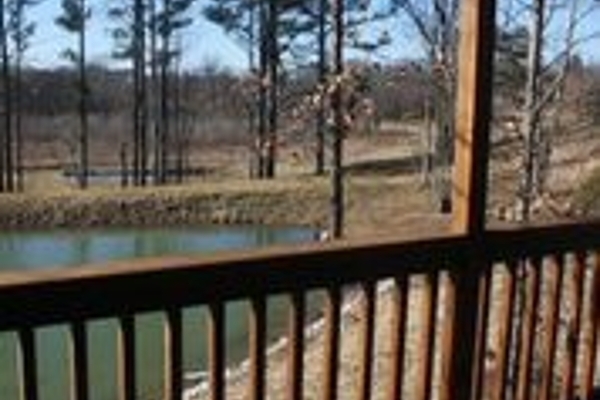 Imagine curling up next to the fireplace in a cozy cabin, soaking in a whirlpool tub, or relaxing by an outdoor fire pit all amidst a beautiful wooded, lake front property. 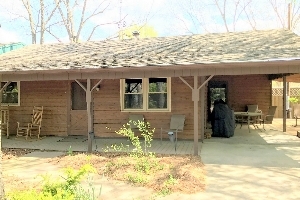 THE CABINS ON INDIAN CREEK are located above a 30 acre Wet Land Development. Hiking and biking are permitted on beautifully maintained trails. Enjoy the southern Illinois scenery – rock bluffs, birds, wildlife, covered bridge and creek crossings. 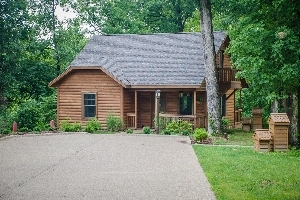 **This cabin is nestled in beautiful Lake Indian Hills, just a short distance from the rest of the cabins. 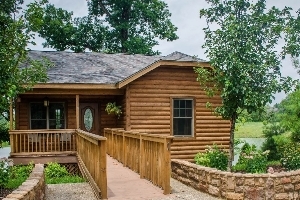 THE CABINS ON INDIAN CREEK combine rustic style with modern amenities including full kitchens, open layouts, luxury baths, beautiful indoor and outdoor entertaining areas and amenities. To secure your reservation, the rental fee is charged in full to your credit card at the time you make the Reservation. You will receive a confirmation email and a receipt. By submitting your reservation you agree that you have read the following rental policy and agree to the terms & conditions. Please take care of the cabin and treat it as you would your own home. 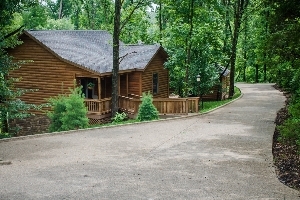 Cabins on Indian Creek is not responsible for any lost, stolen or damaged guest property. Keys are issued; please use them. 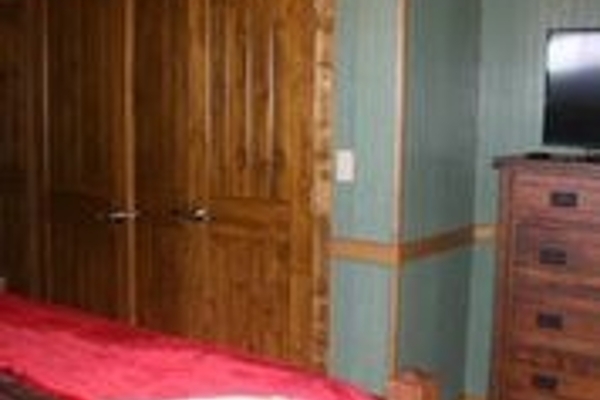 Occupancy: Our rates are based on four-person occupancy only. 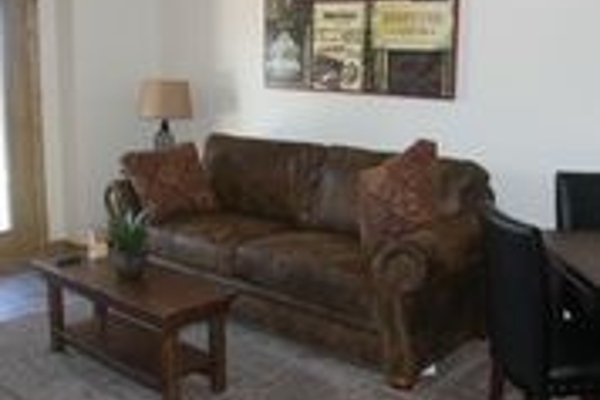 Extra guests are accommodated for a $20/person fee. If you are found to have unauthorized overnight guests beyond what was originally reported to us, you will be assessed a $100 fee. Nuisance policy: Guests generating excessive noise or bothering other guests will be asked to leave the cabin(s) and held responsible for the entire amount of stay. Smoking: We are a smoke-free environment. If we smell tobacco smoke in the cabin, you will be charged a minimum $150 de-fuming and cleanup fee. The actual final charge will include any lost income due to cleanup time. Any cigarette butts outside should be picked up and put in an appropriate container not thrown on the ground. Damages: Guests are financially responsible if excessive cleaning is needed or damages occur to the cabin’s property or grounds, either from the renter or his/her guests. Final expenses will be based upon actual documented costs, plus any lost income. You are responsible for any property stolen or damaged from the cabin(s) during your stay. Electronics: Electronic items (television, radio, VCR, DVD, etc) should not be tampered with by reconnecting wires, moving, or any other changes/damages. Violations will result in charges being levied. 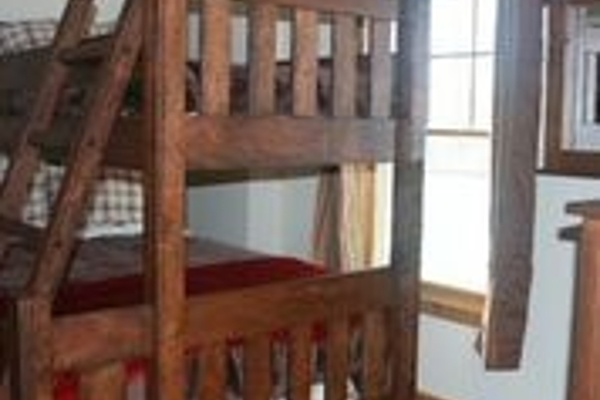 Minimum Age: You MUST be 21 to rent the cabin(s). Check-in requirement: For security reasons, a PHOTO ID and the Credit Card used to make the reservation are required at Check-In. This information will be recorded and kept on file regardless of method of final payment or the use of any gift certificates, check or cash arrangements, etc. Check-In: 3:00-5:00PM CST. Please give us a rough idea of expected arrival time as you can at 618-525-8000. Special late check-in BY REQUEST. If you are going to be later, please notify us at 618-525-8000 ASAP for special late check-in instructions. 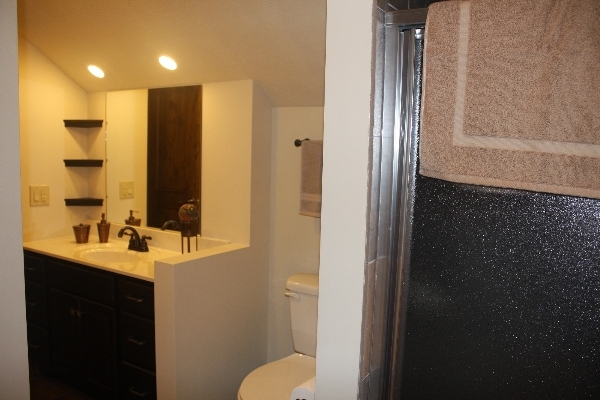 If we can we will accommodate a late check-out upon special request. Please notify us ASAP at 618-525-8000. Please leave the cabin in reasonably orderly condition. Please do the following: wash your dirty dishes, have all trash in bags, and place dirty towels on the washer. Do not leave food in the refrigerator or freezer. You WON'T get charged if you use basic common sense and consideration. Try to leave as little mess as possible. 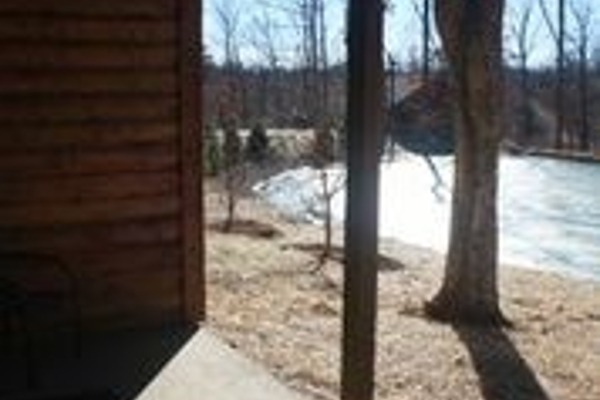 As small independently owned cabins, cancellations affect us dearly. WE UNDERSTAND that plans change at the last minute. We hope you understand that, as a small business with limited availability, we must enforce our cancellation policies. You are responsible for the ENTIRE COST of your STAY. No refunds will be made for NO-SHOWS or EARLY DEPARTURES. 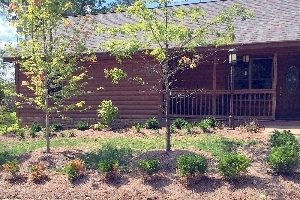 Cancellations may be made via phone (618-525-8000) or email to info@cabinsonindiancreek.com. Reducing the length of the stay, the number of rooms or the value of the original reservation constitutes as a cancellation and will be subject to the Cancellation Policy and the Minimum Stay Requirement will apply. Cancellations due to inclement weather or natural or man-made Disasters are NON- REFUNDABLE if we do not receive notice of cancellation by the required Cancellation deadline outlined below. TO RECEIVE a FULL REFUND you agree to give us NOTICE of Cancellation, by PHONE OR EMAIL, by the cancellation deadline outlined below. If you do not receive a cancellation confirmation email within 24 hours, please call to make sure we received your request. Discount and Package Cancellation Policy: Discounted Reservations are Non-Refundable as are Packages and Reservations made using Coupons, Value Cards or Gift Certificate. CANCELLATION DEADLINE: Cancellations must be requested 15 days before the standard expected check-in time (3PM CST) on the day of the start of your reservation.